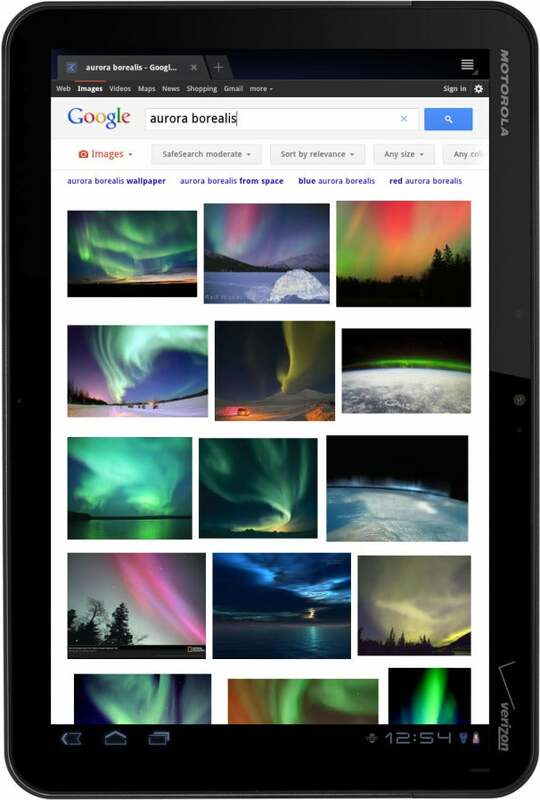 Google Friday unveiled a simplified search interface for Apple iPad and Android 3.1 tablets. The changes, which are being rolling out over the next several days at www.google.com, including a streamlined layout better suited to touchscreen users. The modest makeover increases the size of page contents, such as text, buttons, and other "touch targets," writes Google software engineer Xiaorui Gan in a Friday blog post. 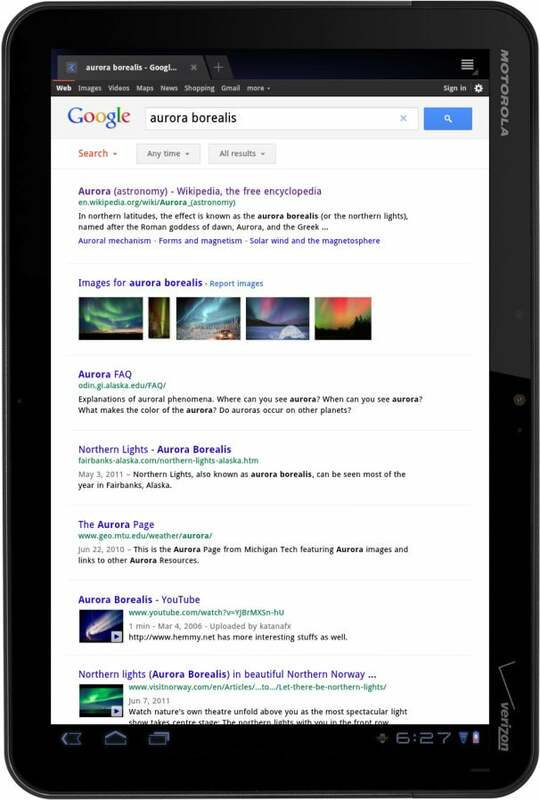 The goal is to make it easier for tablet users to browse and interact with Google search results in either portrait or landscape view. Tablet users will likely appreciate the Search button located below (and to the left) of the search box. When you tap the button, large, finger-friendly links to specific types of results--including Images, Videos, News, Shopping and so on--appear below it. To jump to image thumbnails, for instance, you simply tap the Images link. Speaking of Google Image Search, it features a few additional refinements, including enlarged image previews, continuous scroll, and faster loading of image thumbnails. Google's enhanced tablet-search UI will be available in 36 languages. It may not be a revolutionary change, but it's welcome nonetheless. As tablets grow in popularity, users will increasingly demand a UI designed specifically for touchscreen devices.